In Australia, you can be married on a ship going to sea, as long as you are still within the boundary of 12 nautical miles. This is the same limitation if you decide to be married in the air. Option 1: You may want to make a trip out of it and invite your guests. A Captain of a ship generally cannot marry you at sea, even though legends and the “Love Boat’ series told us so. You will need to ask a Celebrant to marry you. Generally what happens here is you then hire a water taxi to take her/him back to shore before the ship gets too far out. The marriage takes place while you are still in Australian waters, making it a legal Australian marriage. Option 2: You could also ask your Celebrant to marry you on the ship while it is docked and before it takes to the sea. 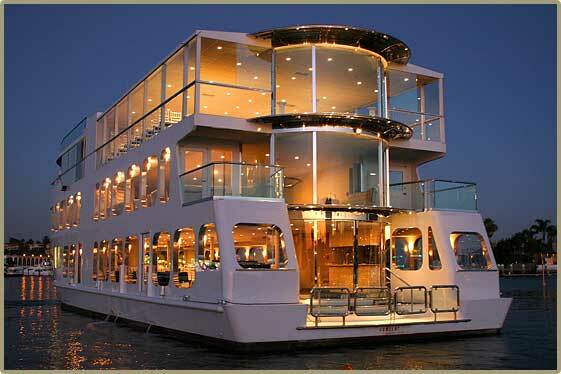 That way your guests who are not going on the trip with you will also be able to disembark at the same time. Then the ship sets sail and you go on your wonderful cruise and honeymoon. You would have to ask permission of your Cruise Line for either of these options. 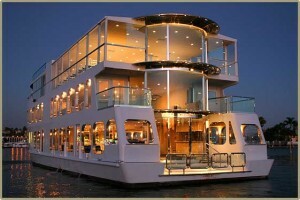 There are many companies now that hire out quite amazing houseboats. They usually use rivers and can hold quite a lot of people. You can also just get married with a couple of guests for witnesses and your Celebrant. I have performed a wedding exactly like this. We went down a beautiful river in the luxury houseboat, when we got to a nice spot with gorgeous scenery, the boat stopped and we had the ceremony. As I was not continuing on with the couple, a water taxi arrived to take me back to the marina. The houseboat was decked out with gorgeous lounges, bedrooms for up to 12 people, a bbq area and spa, to name but a few of the items aboard. There was no worry of course of being outside boundary when the wedding took place. Of course you could take as many people as the bedding allowed, or take quite a few guests and take them back to the marina as well and the bride and groom continue on your way. If you have access to or the funds to use a luxury yacht, of course this is an ideal situation. That way you can take the yacht wherever you like inside the Australian waters and be married. Also getting your Celebrant back to land is not usually a problem, as you have control of the yacht. Some people choose to be married in a small boat or canoe just off shore so their guests can still see and hear them. 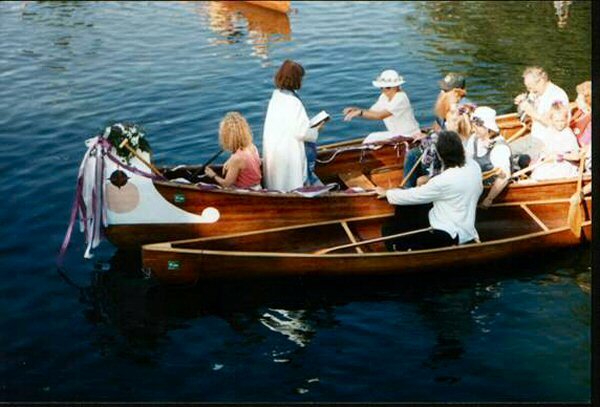 This can be done with two boats, one for the witnesses and celebrant and one for the bride and groom, tethered side by side. Alternatively one larger canoe can be used for the entire wedding party. Things to keep in mind when using seafaring vessels. If you are using a yacht or houseboat and children will be present, it is necessary to provide safety vests. This is also necessary for people who cannot swim. It is a good idea to keep in mind how elderly people or people with a disability can embark or disembark from the vessel. So, here at Cherish, we hope your plans for a wedding on the water, go swimmingly.